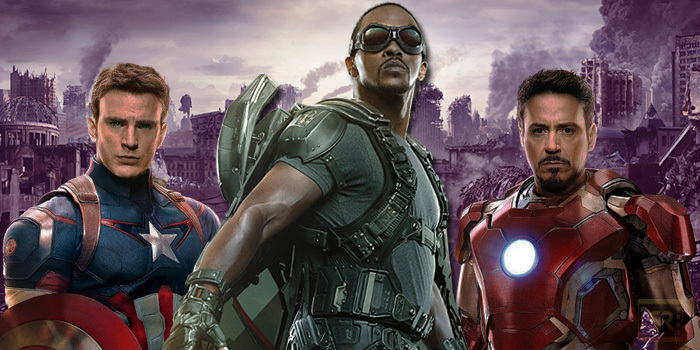 Anthony Mackie has been an awesome addition to the Marvel Cinematic Universe as Sam Wilson (better known as Falcon). He was definitely one of the highlights in Captain America: The Winter Soldier, and left me wanting to see more of him along side Cap and company. So far as we know, his next appearance in the MCU will be in Captain America: Civil War. It’s practically his dream at this point to be in as much Marvel projects as possible, including the Avengers films. Though Age of Ultron has nearly wrapped up reshoots, Mackie is still pushing to get that call to make an appearance in the film. It’s very possible to include him in at the last moment. My only question is “why the hell not have him make a cameo“? Oh Mackie, don’t worry your time will come. I think Falcon will have a bigger part as the Phase 3 films start moving along. It’s confirmed there will be roster changes to the Avengers squad. Actors are nearing the end of their contracts, leaving the door open for other actors like Mackie, Sebastian Stan (Winter Soldier), Benedict Cumberbatch (Doctor Strange), Elizabeth Olsen (Scarlett Witch), Don Cheadle (War Machine (please don’t die in Age of Ultron)) and Chadwick Boseman (Black Panther) to have more central roles in the MCU.